The dish is called 'musaca'. 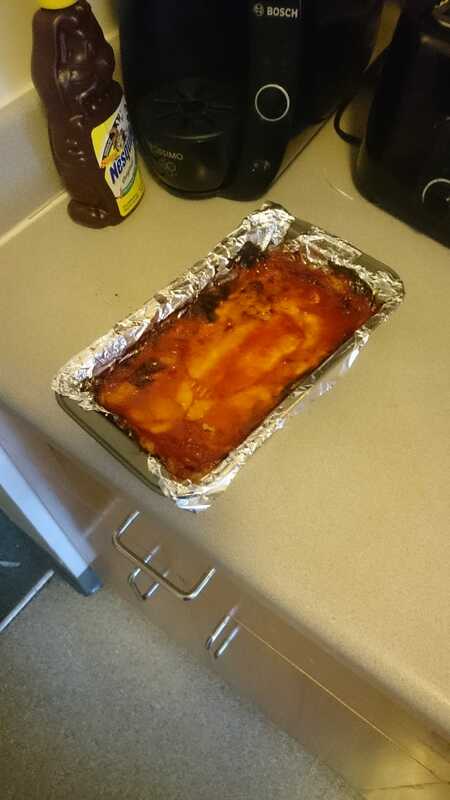 its more or less the romainain take on the Shepards pie. A layer of mashed potatos, followed by some stuffing, another layer or potatos, and then ketchup on top. -add some milk and butter and proceed to mash. -after onions are done, add the ground beef. -put down a layer of mashed potatoes. -last (second) layer of potatoes. -add some ketchup and spread it. - heat oven to 400 degrees F.